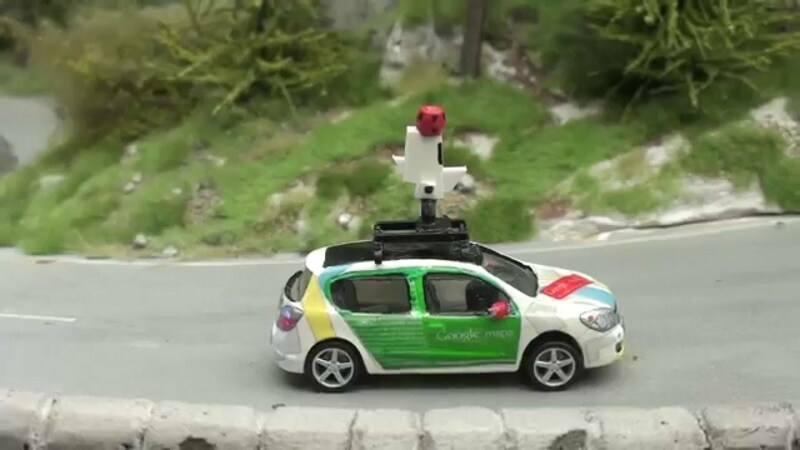 For those looking to relive their childhood dreams of being a conductor of their own railway and playing with dollhouses, we have a Street View surprise for you: Hamburg’s famed Miniatur Wunderland, the world’s largest model railway, has come to Google Maps. 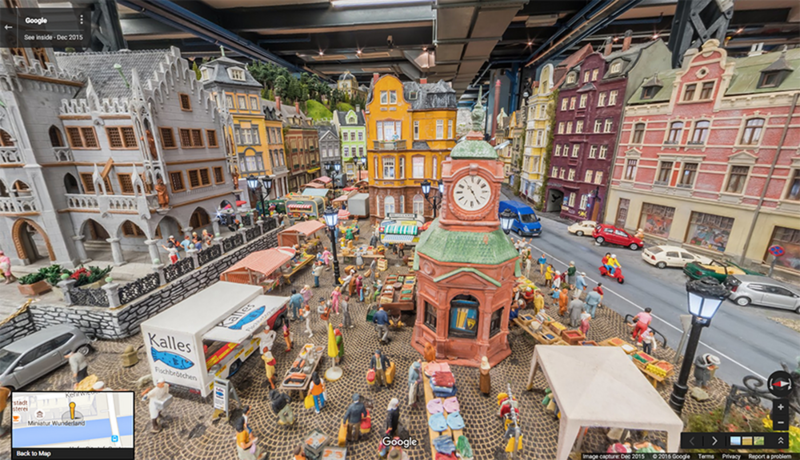 Boasting 13,000 meters of track and more than 200,000 tiny citizens, the museum includes tiny replicas of a variety of German provinces, famous places in America and even a fully-functioning airport! 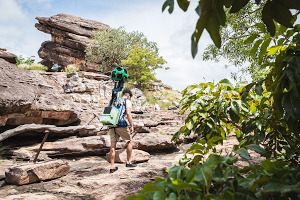 Street View cameras have floated on gondolas in Venice, ridden on camels in the Liwa Desert and soared on snowmobiles on Canadian slopes. 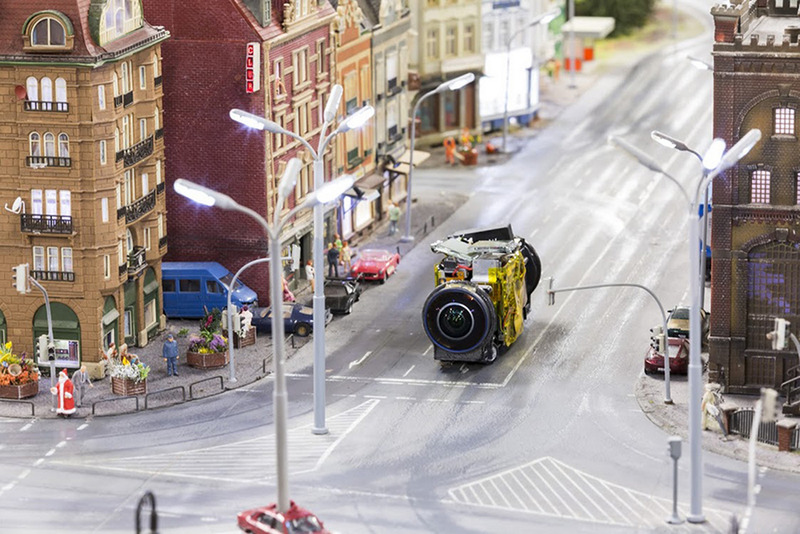 But to capture the nooks and crannies in Miniatur Wunderland, we worked with our partner at Ubilabs to build an entirely new—and much smaller—device. 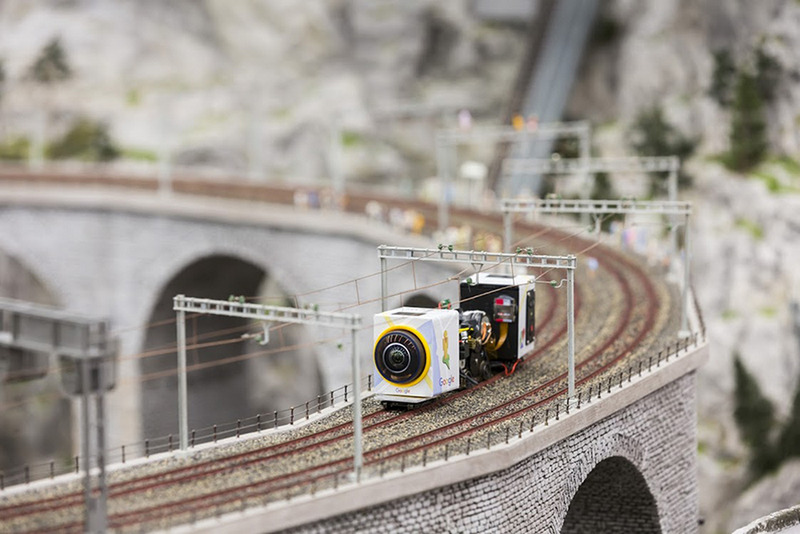 Tiny cameras were mounted on tiny vehicles that were able to drive the roads and over the train tracks, weaving through the Wunderland’s little worlds to capture their hidden treasures. Touring the marvels of Wunderland, you must first begin in its oldest section: Knuffingen, a fictional town situated squarely between the Alps and Harz. Become one of this tiny city’s 10,000 inhabitants: Stop by the city’s rustic farmer’s market, witness the local fire department spring into action when a building catches fire and even see a plane lift off from Knuffingen’s airport. 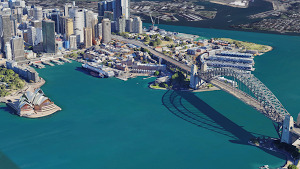 You can also see a variety of real places designed with an eye for accuracy: a soccer match in Hamburg’s stadium, a traditional town center in central Germany, a rowdy Oktoberfest celebration and a replica of the famous Neuschwanstein Castle in Bavaria, and even the ski slopes of Austria. 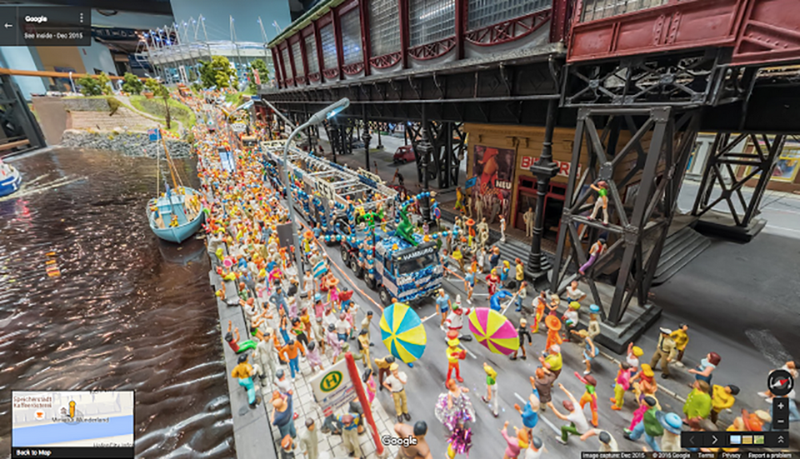 You can also glimpse the everyday lives of thousands of miniature citizens, as they bike, camp and dance their way around the Wunderland. 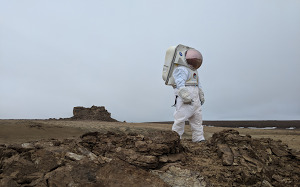 Then it’s a (very) short hop over to the U.S., where you can zoom through the valleys of the Grand Canyon, gambol down the strip in Las Vegas, and even stop by Mount Rushmore to salute past U.S. Presidents. Because we captured this imagery at “street level” within the Wunderland itself, you can observe many tiny details in Street View that are not visible even to visitors to the museum -- deep sea divers at a county fair, farmers riding a broomstick, a newly-married couple on the steps of the courthouse and the dancing crowds at an outdoor concert. 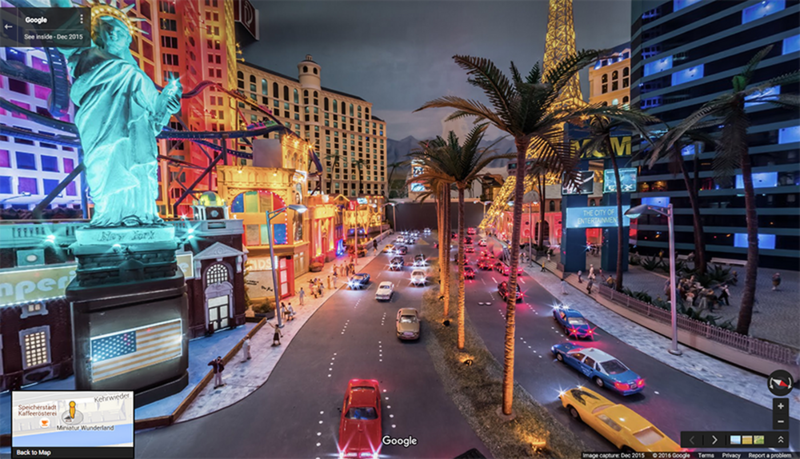 To see more of Miniatur Wunderland, including a miniature Street View car built to commemorate this joint project, explore our Street View gallery. As you navigate through this truly wonderful Wunderland, we think you’ll agree: when it comes to great views, size doesn’t matter!